The E&E Seminar Series is a casual approach to serious issues affecting you, your business, and your industry. Join us for drinks, snacks, lively conversation, and networking with other area business professionals while the attorneys of Einterz & Einterz answer questions and present varied topics. Below, find upcoming topics and materials from past talks. "10 Things You Should Know About EVERY Contract - Before You Sign!" Everybody signs contracts on a daily basis. From credit card receipts to hiring a contractor, the contracts we deal with may be big or small, but they all carry the same weight, risks, and liabilities. Come and learn what makes a contract so important, and the 10 things you should look for every time you sign your name. "WORKSHOP: Estate Planning for the Individual and Family"
Have you been meaning to start your estate plan, but just haven't found the time? The attorneys of Einterz & Einterz will sit down with each seminar attendee to explain what is involved in an Estate Plan, what documents each person should have, and how to protect your children and future generations. After some one-on-one time with our attorneys, we hope that everyone will leave the seminar with at least a roadmap for their Estate Plan. We'll help you get started now! "The Ins and Outs (and Ups and Downs) of Dealing with Real Estate" Whether you're buying, selling. mortgaging, or liening, everyone deals with Real Estate. Its no secret that Real Estate plays by its own rules, whether in the market place or in the courtroom, and those rules are getting more complicated by the day. We'll give you the tools you need to understand Real Estate, the information you need to make smart choices, and the confidence to take on that next Real Estate challenge. "10 Mistakes You Don't Know Your Business is Making" (Link Goes to Presentation) Whether you are considering starting a business, or you've been going strong for several years, there are several pitfalls that every business seems to experience. Come find out what mistakes nearly every business makes, and how sound legal planning, advice, and a bit of forethought can keep your business safe. "INC or LLC - Why it Really Matters" Organizing a business requires treading through an alphabet soup of choices. Every year new choices for how your business is organized or structured arise, along with new reasons for choosing one type or another Even existing businesses need to be aware of the different available forms, and how to evaluate whether the form they chose in the past is the right choice for the present. 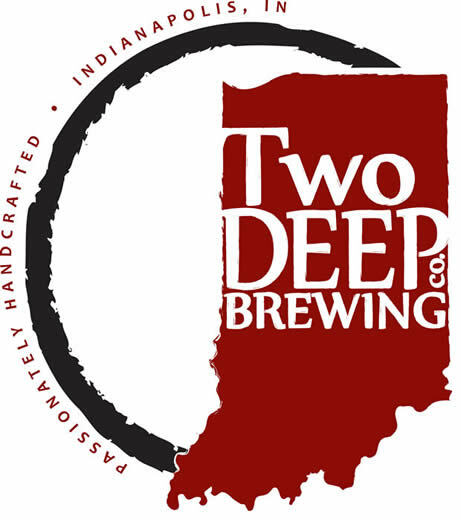 Two Deep Brewing Company. Let them know what you thought! "You Can't Take it With You - How to Prepare Your Business for the Future" Business Owners and Managers spend their days dealing with employees, vendors, and clients. They tackle tough problems and answer important questions - but what happens when they aren't around? Too often, businesses don't plan for the loss of an important person. Come find out how to future-proof your business, how to pass it along for generations, and how to keep it running smoothly.